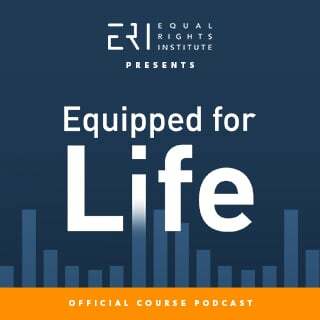 Every other Wednesday we publish a new episode of the Equipped for Life Podcast, available to everyone who purchases our course, “Equipped for Life: A Fresh Approach to Conversations about Abortion.” Generally, these podcast episodes won’t be available to the general public, but we plan on releasing short clips from the episodes every Thursday, to give you a sense of what these podcasts are like. In this episode of the Equipped for Life Course Podcast, Rachel interviews Lori Navrodtzke, a Pregnancy Resource Center counselor and Justice For All volunteer, about how to dialogue with people about abortion if they’ve already had one. In this clip, Rachel and Lori discuss how to proceed in a conversation if someone does not admit to having had a personal abortion experience. They also give some examples of how to let people know about post-abortive healing, even if they don’t feel like they need it at this time. In this episode of the Equipped for Life Course Podcast, Tim, Rachel, and I finish the six-part series on how to be an effective pro-life advocate on social media. They give 7 more practical tips on argumentation. In these clips, we give 2 tips for how to use sources or research studies in online conversations. In this episode of the Equipped for Life Course Podcast, Tim, Rachel, and I continue a multi-part series on how to be an effective pro-life advocate on social media. We give 9 more practical tips. In this clip, we discuss the sometimes unseen dynamics at play in a conversation and how this should affect our approach. Especially online, we need to remember that people are watching, whether it is in the public comments or in a private message which may be taken in a screenshot and spread publicly. In this episode of the Equipped for Life Course Podcast, Tim, Rachel, and I continue a multi-part series on how to be an effective pro-life advocate on social media. We give 12 more practical tips. In this clip, I introduce an idea from game theory, Rapoport’s rules. I talk about the value of the third rule: recognize when the other person teaches you something. In this episode of the Equipped for Life Course Podcast, Tim, Rachel, and I continue a multi-part series on how to be an effective pro-life advocate on social media. In this episode, we begin a series of 35 practical tips in five categories. In this clip, Tim explains why we should be trying to make minimum persuasion goals when we dialogue on Facebook, and I make a point about posting comments with a lot of text.